I used the coupon HB3-9NT-R6Y and it worked, thanks! I used the coupon code HB3-9NT-R6Y at it worked. Thanks! Thanks the promo code HB3-9NT-R6Y worked. 15% off code still works. Just used BJG-4MN-T12 & got an additional 15% off 3 licenses already discounted 20% for volume purchasing. Total cost for the 3 licenses, $50.87 or $16.97 each. Every little bit helps. Thanks for posting & Happy New Year! BJG-4MN-T12 (15%) is still working for me, like the above post said I tried the previous coupon code KV9-3KX-455 and that doesn’t work for me either. 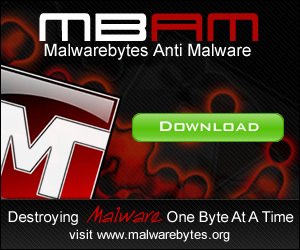 Anyway thanks for the Malwarebytes promo I bought 20 licenses for my small office and I linked my friend who bought another 20 for his bussiness down the road these Malwarebytes Coupon work fine. I used this code: HB3-9NT-R6Y in January 2011 and it worked for me. Thanks. Hi! An impressive share, I just given this onto a colleague who was doing a little analysis on this. And he in fact bought me breakfast because I found it for him.. smile. So let me reword that: Thnx for the treat! But yeah Thnkx for spending the time to discuss this, I feel strongly about it and love reading more on this topic. If possible, as you become expertise, would you mind updating your blog with more details? It is highly helpful for me. Big thumb up for this blog post! 5MU-NBU-DFR for 20% off. Worked on 3/31/2011. 5MU-NBU-DFR for 20% off worked on 5th April 2011. 5MU-NBU-DFR for 20% off worked on 27th April 2011. 5MU-NBU-DFR I just used this coupon and it worked for 20% off. Thank you!!!! 5MU-NBU-DFR worked on 5-11-11 and saved 20%. $24.95 reduced $19.96! Coupon code # 5MU-NBU-DFR worked for me on May 20, 2011 for 20 % off. 5MU-NBU-DFR worked on 05/22/2011 – THANKS!!! 5MU-NBU-DFR still working guys cheers! Coupon code # 5MU-NBU-DFR worked for me on May 25, 2011 for 20 % off. 5MU-NBU-DFR working for 20% off 05/27/11! 5MU-NBU-DFR still works for 20% off. Looking at other websites they think it only works until May 31. Good luck! fantastic publish, very informative. I ponder why the other experts of this sector don’t notice this. You must proceed your writing. I am sure, you’ve a great readers’ base already! 5MU-NBU-DFR is still working for 20% off! Just confirming that the 20% code 5MU-NBU-DFR worked for me as well on 6/11/2011. Thanks everyone. Saved 20% with code 5MU-NBU-DFR on 06/16/11. Thanks for that! !